Results 11 to 20 of 51. The 3rd CND Intersessional Meeting for the 62nd session will be held on 7 March (10:00 AM) in Board Room D (C Building). 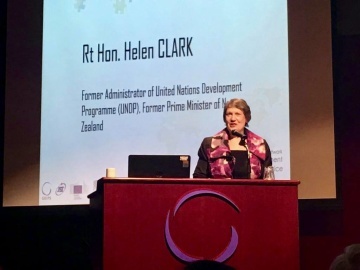 This conference aims to encourage an exchange of ideas on policy and practice regarding drug control policies at the multilateral level and discuss how punitive drug policies impact the International Geneva mandates. The 2nd CND Intersessional Meeting for the 62nd session will be held on 25 February (10:00 AM) in Board Room D (C Building). 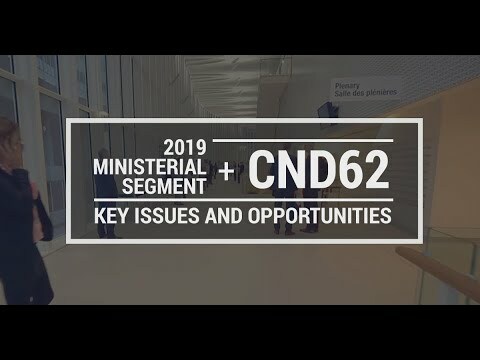 The 1st CND Intersessional Meeting for the 62nd session will be held on 16 January (10:00 AM) in Board Room D (C Building). Norway shows the objectives of the 2009 Political Declaration and Plan of Action are, to a high extent, directly reflected in the 2016 Outcome Document. IDPC outlines the key issues for consideration by member states as they reflect on what has been achieved since the adoption of the 2009 Political Declaration and Plan of Action and the implications for the next phase of the international drug policy regime. The report finds that, despite loud declarations made by the international community in 2009, the past ten years has seen big rises in the scale of illegal markets, and the harms that they cause to individuals and communities.